Why Does My Dog's Tongue Stick Out? 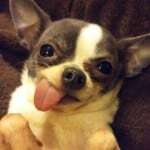 | I Love My Chi I Why Does My Dog's Tongue Stick Out? % Why Does My Dog's Tongue Stick Out? 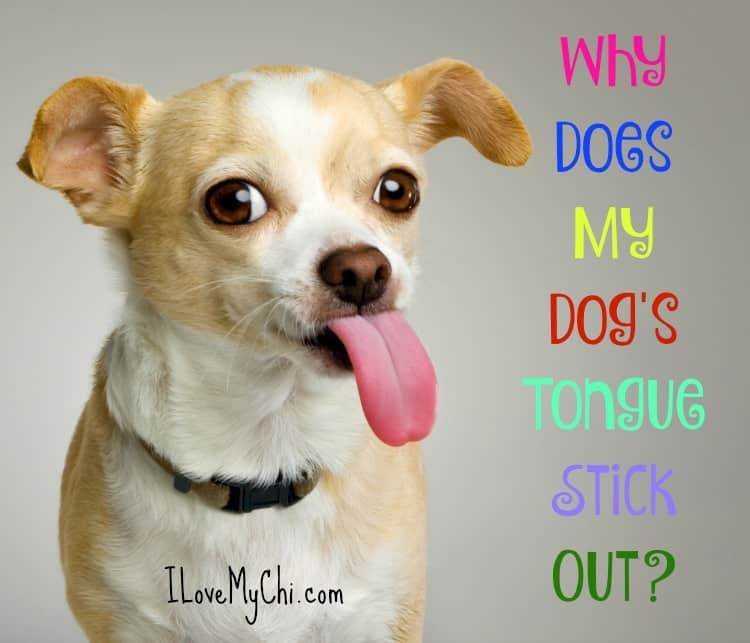 You are here: Home / Chi Health / Why Does My Dog’s Tongue Stick Out? Does your dog’s tongue stick out most of the time (or all of the time)? It seems to be quite common in Chihuahuas along with other small breeds. 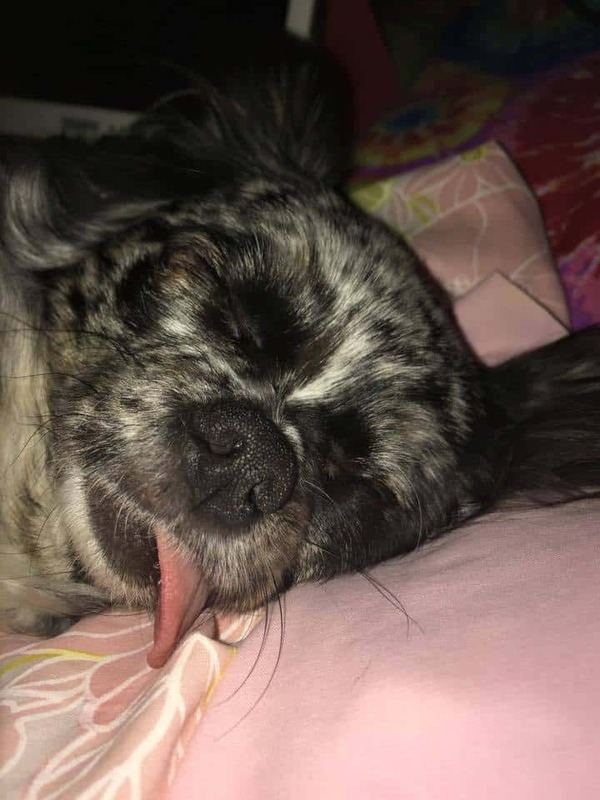 We even have a gallery post on cute Chis with their tongues out here. I can’t deny it is quite cute to see their cute little tongues peeking out. But did you ever wonder why it happens. After all, you don’t see people walking around with their tongues hanging out (for the most part anyway). All dogs stick their tongues out some of the time and this is normal. It helps them to cool down. 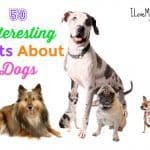 When a dog pants, moisture is created by their breath which evaporates and cools the tongue down, which cools the blood down, thereby cooling their entire body down. Some dogs stick their tongue out when they are very relaxed or sleeping. Most dogs only stick their tongues out occasionally but can pull it back in whenever they want to. The dogs who can’t pull their tongue all the way back in may have a condition called Hanging Tongue Syndrome. Hanging tongue syndrome can become painful to the dog. This is because the tongue is always hanging out of the mouth and is not getting the natural moisture from the mouth so it dries out and cracks. Tongues are very sensitive and this can become quite uncomfortable for the dog. They can also develop and infection and even frostbite (if left outside too long in cold weather) on their tongues. If your dog has this condition, keep an eye out for any swelling, bleeding or cracking of their tongue and seek medical help if you notice these things. 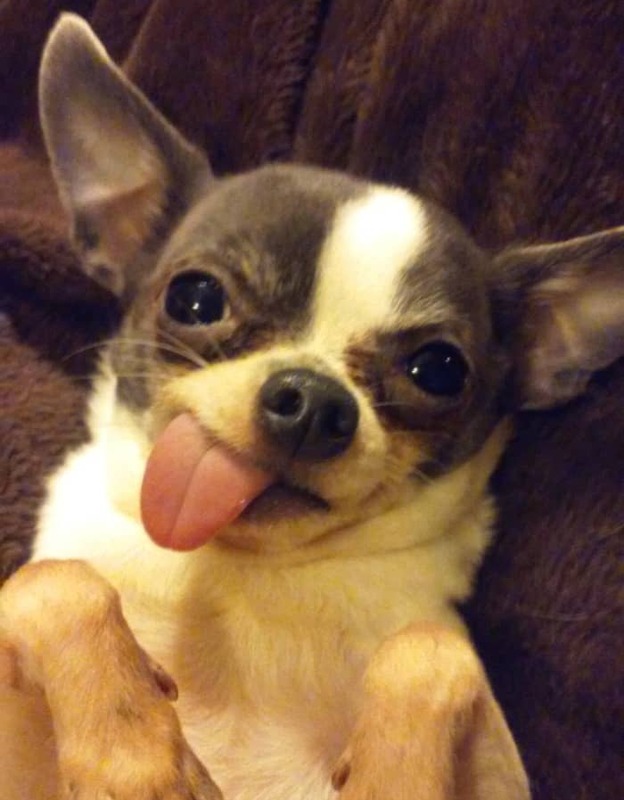 So does your Chihuahua’s tongue hang out? Kilo’s does some of the time since she is missing a few teeth but she is still able to pull it back in. My Pixie has this issue and I never realized it could be painful for her. Thanks for the info. You are welcome Anna. Just keep an eye on her tongue. She will probably be fine but if she seems like something is bothering her or you notice anything odd with her tongue, take her to the vet. She looks adorable with her little tongue out. There are times our snoopy will have his tongue out when he goes to sleep or got rested from a play. I will let him put back his tongue inside if i catched him up. But he can still pull his tongue back. That’s good that he can still retract his tongue Letty. He’s a special cutie Cheryl! Our Izzy’s tongue hangs out. We can either tell her tongue or touch it and she pulls it back in, Thanks for the information it was very helpful. You’re welcome Kim. Glad it was useful. my chi tongue started to hang out this year , will it hurt her she is seven just a qur, in, naomi , raffle. Probably not Naomi but keep an eye on it and mention it to your vet on your next visit. 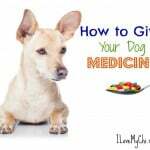 Many dogs live with this condition with no problems at all but a few will have pain and problems with it. My dog always has her tongue out! It is so cute and it doesn’t seem to bother her! When I touch it, she always pulls it back in, but it gets dry very quickly and it seems she “forgets” to put it in her mouth. 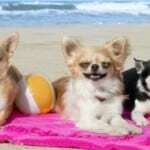 Yes some chis do that because as they get older their teeth align up a little differently. It’s usually nothing to worry about. Ugh… my chi’s– both stick their tongue out at me 🙂 But seriously, I feel awful because it is a result of both their bottom teeth (if you could call a tooth the size of a grain of sand a tooth) having been removed. I feel guilty as these will be my only kids. But, they hate being poked and prodded and nothing I’ve done has become routine; they shudder when they see the nail clippers. They’re not aggressive whatsoever, just ‘freaking out and shouting obscenities’ as far as I can tell. They are my favorite breed; and I got lucky to have the most quiet, snuggly, non-aggressive, lap dogs that love to kiss (including my eyes–eek). Anyhow this is good info, thank you, and I’ll keep watch as we all continue into our Golden years, tongue in or out. I laughed when you said the shout obscenities at you. Don’t feel guilty. Chis tend to have dental issues.